2 Bedroom Terraced House For Sale in Paisley for Fixed Price £118,500. 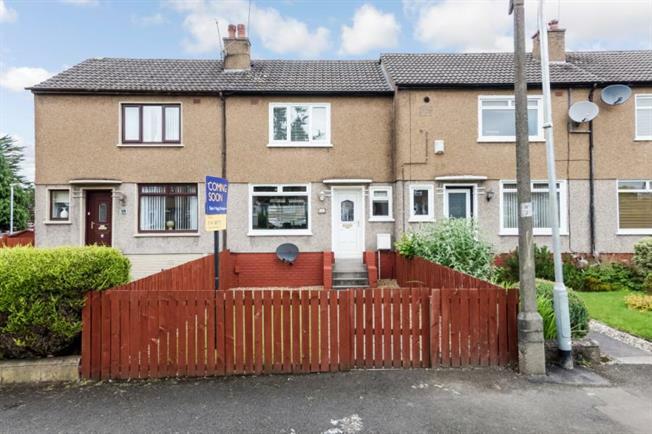 This immaculate mid terrace property is set within this desirable Paisley address. The accommodation on offer extends to reception hallway, lounge, modern fitted kitchen, two bedrooms, floored attic and modern bathroom. The property has gas central heating and double glazing. There are excellent private garden grounds. Early viewing of the property is highly recommended. Paisley itself offers numerous shops, leisure facilities, primary and secondary schooling as well as Paisley Gilmour Street Train Station and regular bus links. Paisley provides easy access to Braehead Shopping Centre as well as the Xscape Arena and the M8 motorway network giving access to Glasgow City Centre and Glasgow International Airport.